TDOT selected Palmer Engineering to provide survey and roadway design services for the Obion County section of I-69, a Phase II design of 4.0 miles of four-lane roadway including 6.2 miles of side roads and ramp interchanges. 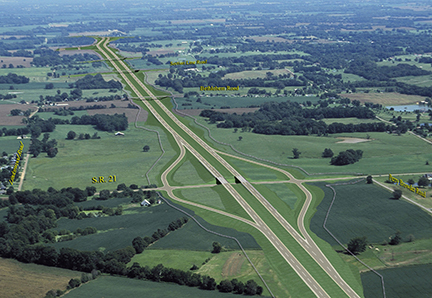 The project included a welcome/rest area, truck weigh station, and a new diamond interchange at SR-21. A modified trumpet interchange has been designed for the tie-in to existing SR-3 (US-51). The project crossed rural, level farmland with deep soils, shallow, meandering streams, and numerous farm ponds, which required special considerations for drainage. Terrain and drainage considerations also required a significant amount of borrow materials to be acquired for the project.